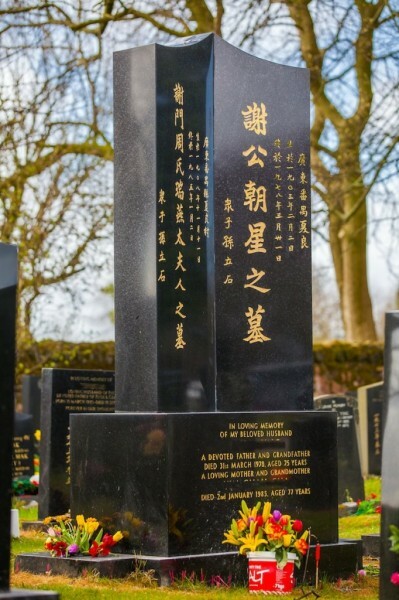 Liverpool is home to Europe’s oldest Chinese community, dating back to the 1860s when the Blue Funnel Line began sailing between the port and Shanghai. 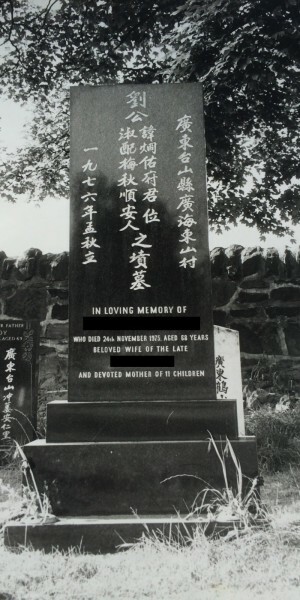 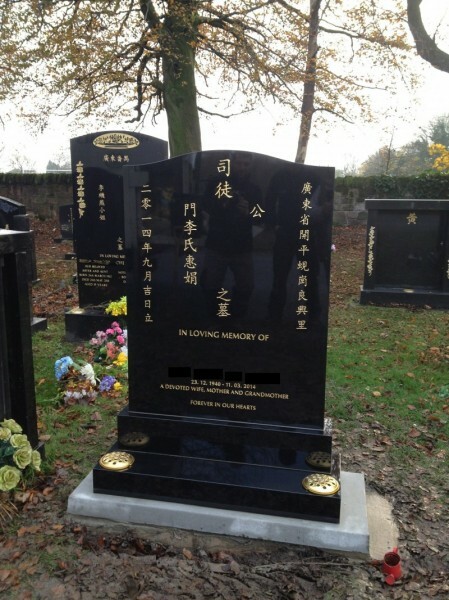 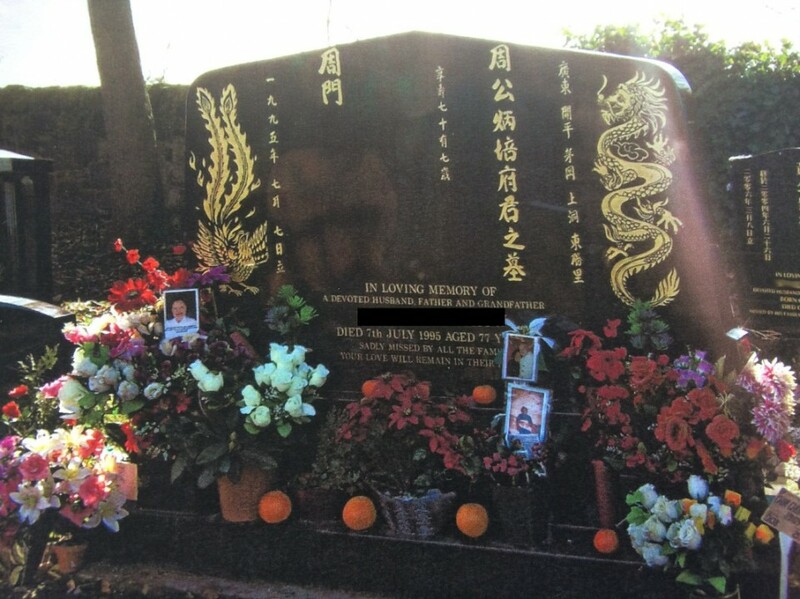 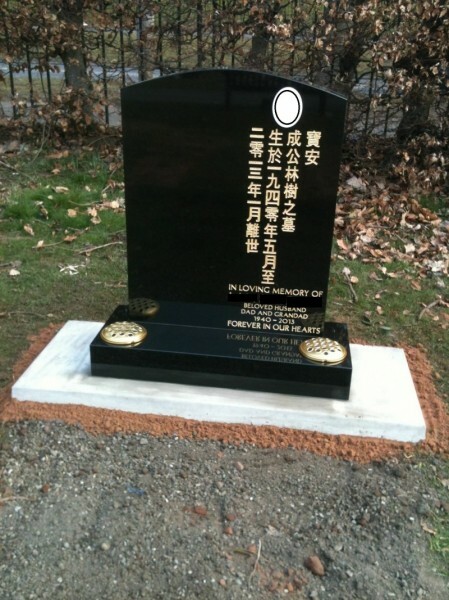 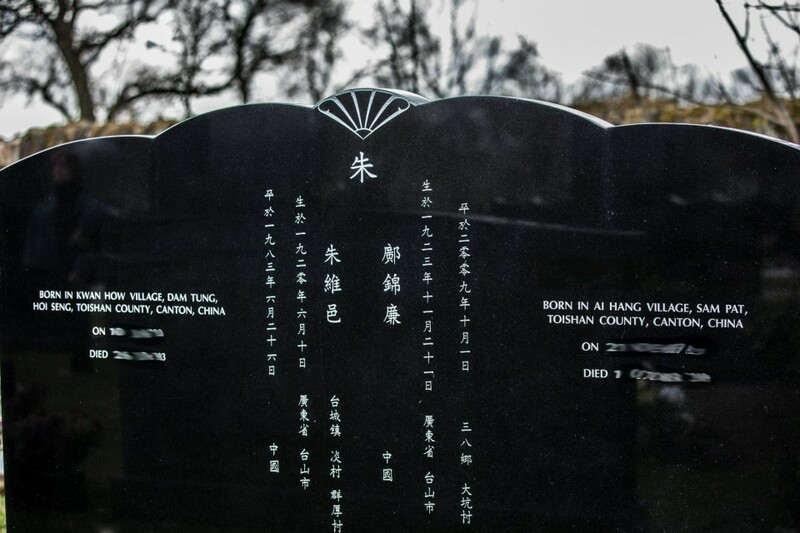 The population numbers around 10,000 and there are dedicated Chinese areas in Anfield and Everton cemeteries,while burials can also take place in other local authority cemeteries in the area. 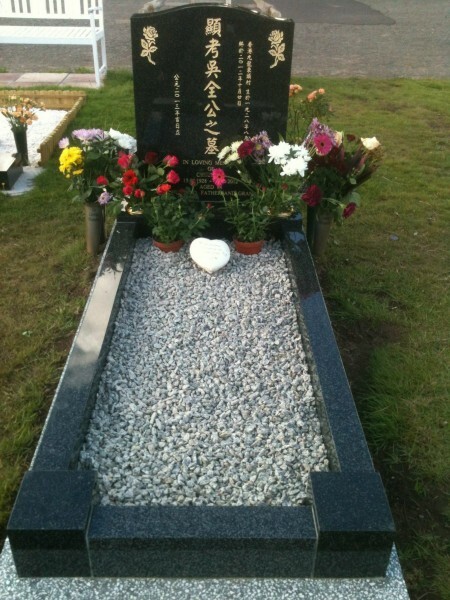 Sarsfield memorials have now been supplying headstones for three generations since the 1940s. 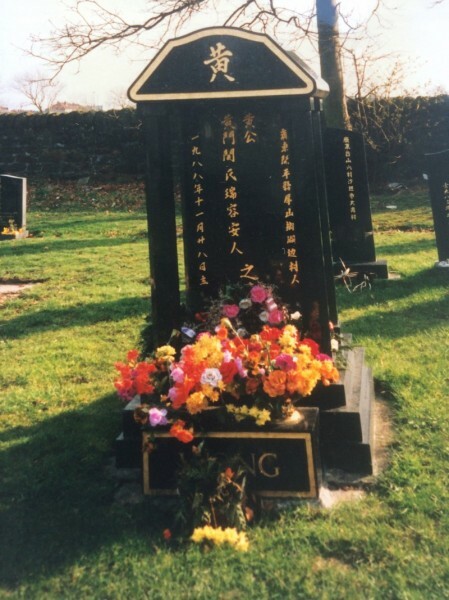 We understand the needs of the Chinese community, how the size of headstone is very much down to the seniority of the deceased person within the community. 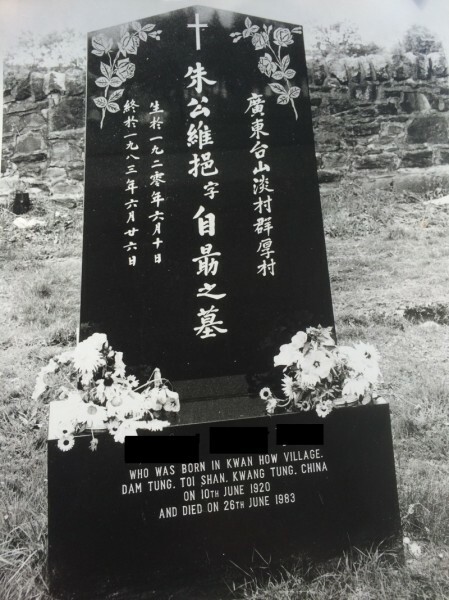 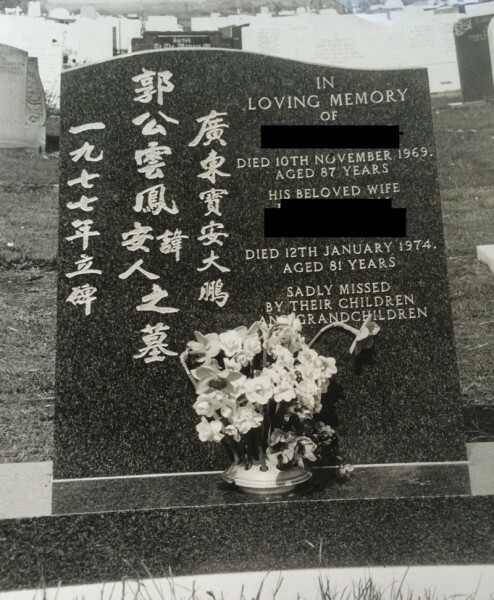 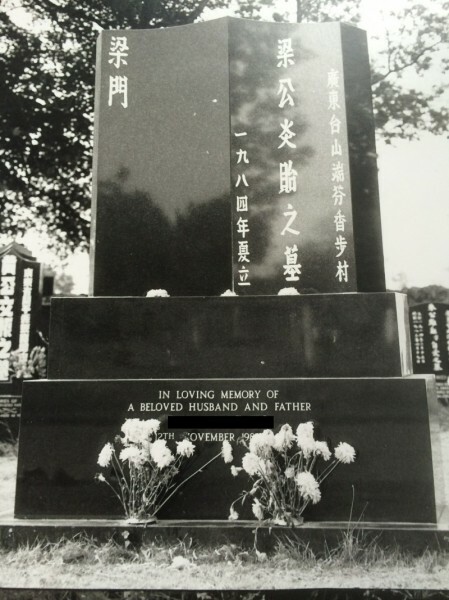 We appreciate that the inscriptions provide details not just about how old a person was when they died, but about their background too; the village they came from and what their birth name was as a lot of the older Chinese community use two names, their birth name and their English name. 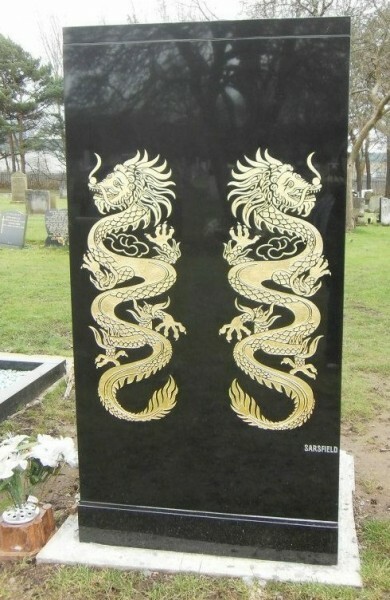 Sarsfield’s skilled masons can provide headstones in a range of styles and you are not limited to what is displayed on our site. 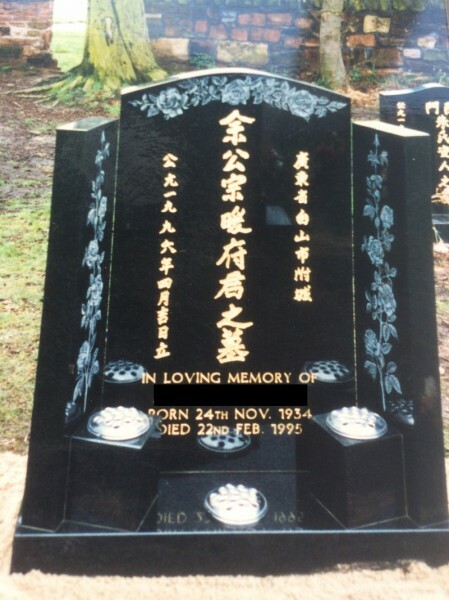 Memorials can be custom made, if you require one shaped as a pagoda for example, we will be happy to arrange that for you. 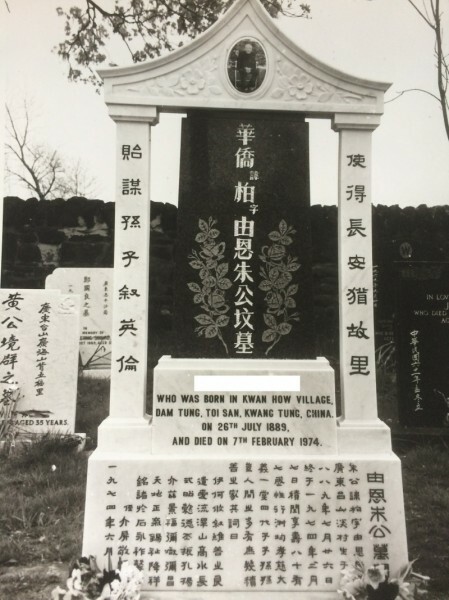 Previously we have had families that have visited home whether it be China, Hong Kong or Vietnam and they have brought us drawings and photographs of traditional designs and we have replicated them. 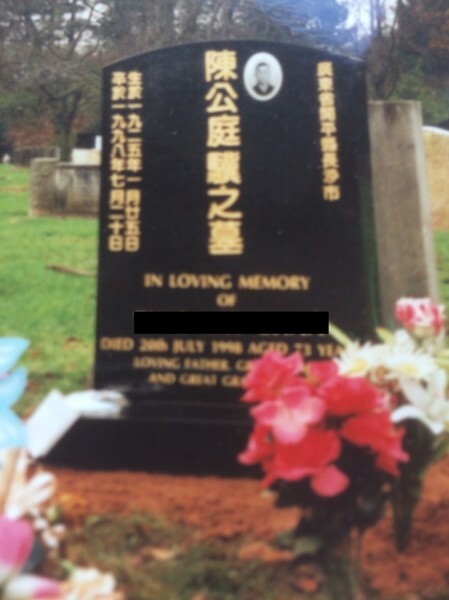 Inscriptions often consist of Chinese and English lettering. 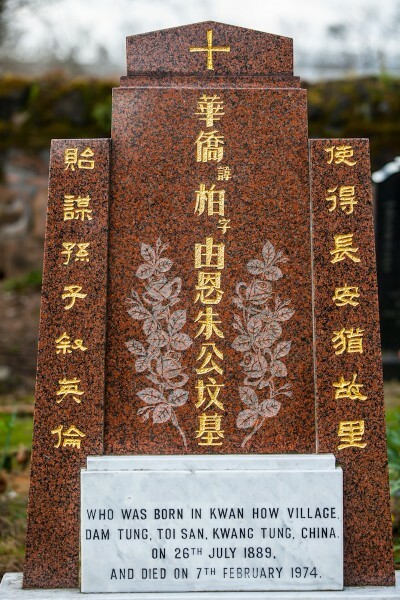 We do require the family to provide the Chinese characters, these can either be hand drawn with ink or computer generated. 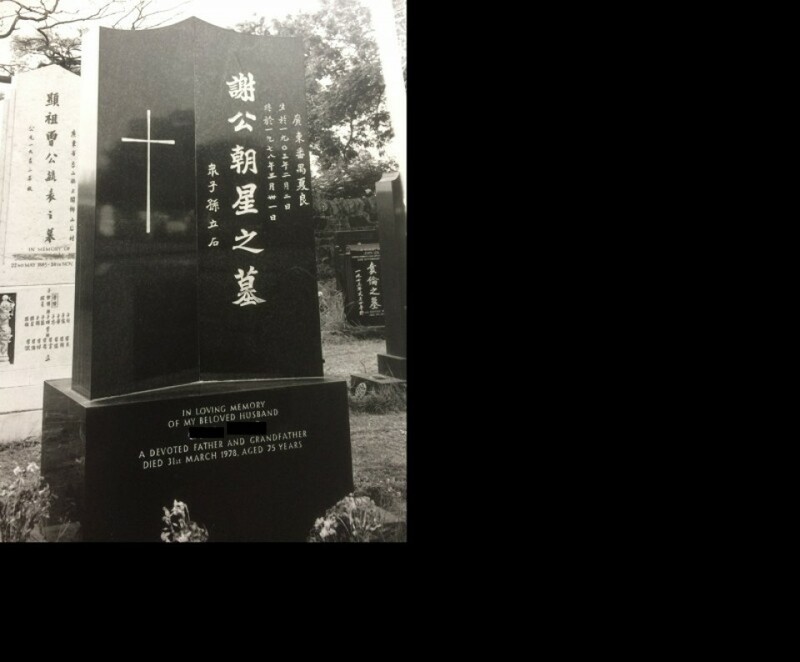 We offer advice regarding the layout of the inscription so once it is on the gravestone or monument the lettering is clearly visible and understandable, enabling both the Chinese and English family to understand the inscription. 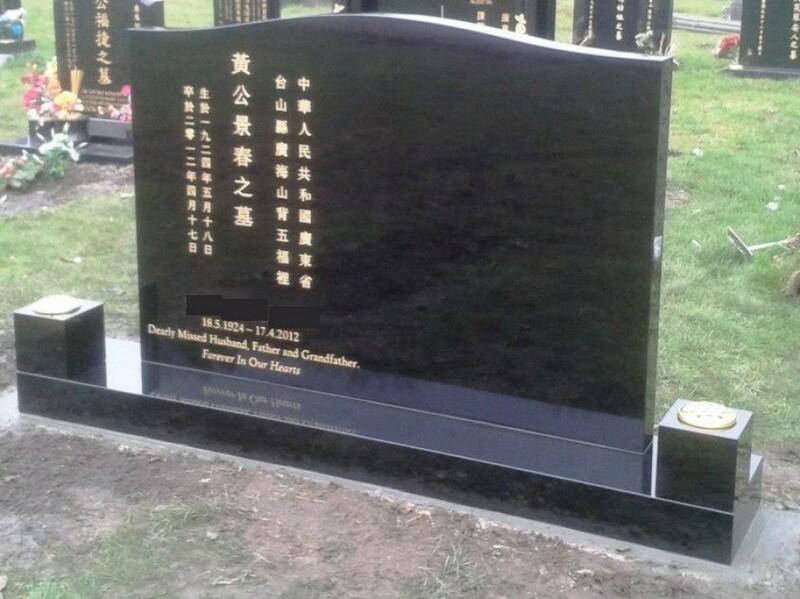 If you would like to contact us to discuss your requirements please contact us and we will be happy to provide a free no obligation quote.